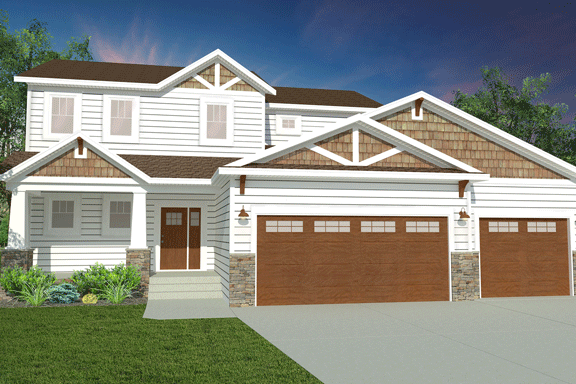 Our newest 2-story creates a Craftsman feel, featuring a mudroom, main-floor laundry and 9’ ceilings. Enjoy the kitchen island with custom paint color and mission-leg accents. The home highlights an office off the dining room overlooking the backyard. Relax in a spacious master suite with a free-standing tub and a tile shower highlighting a custom glass feature wall. This home’s curb appeal features a front porch accented by cedar-tone shake siding.